It's and we would like to welcome you to the Salt Lake Tourist & Visitor Centers official online edition. 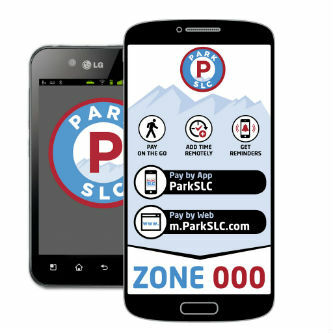 This page provides detailed information on parking in Downtown Salt Lake City. With almost 200,000 residents and thousands of visitors every day, parking in Downtown Salt Lake City does not have to be a hassle. Whether you're a visitor trying to find a spot for the Utah Museum of Fine Arts, the LDS Temple, or the Clark Planetarium or maybe a sports fan going to a Jazz game or maybe just feel like a night on the town at Lumpy's Sports Bar or Christopher's Seafood and Steakhouse, parking can be very easy and affordable some of the time. You may have to walk a half-a-block, but that's nothing. Drop your party off, and find your spot. And Remember, Don't Drink & Drive! There are over 32,000 parking spaces in Downtown Salt Lake City. Metered Street Parking, How Much Does It Cost? - As of January, 2019 fees are now 2.00 for a maximum of 2 hours. Mondays to Fridays: 8am to 8pm. - Free before and after those hours. Saturdays are Free with a 2 hour maximum. Sundays: Free with no restrictions. A fast, convenient and environmentally friendly new public parking system was been installed throughout downtown Salt Lake City. The solar powered, bright blue parking pay stations are revolutionizing parking in Salt Lake City, eliminating the need for coins and ensuring an easy, user friendly experience for everyone who shops, dines and visits our growing Capital City. 1. Enter your 4 Digit Space Number at Kiosk. 2. Use coins in as little as 5 cent increments for any amount of time, or use a credit card with a $2 mimimum.